Trees can require a great deal of care, and whether you have recently acquired a property with unkempt trees, or have not had time to fix your own previously, you need to call in a professional service that can ensure the trees are well maintained and remain in good condition for the future. Our high quality tree service in Beverly Hills includes a range of options for customers who need help with their trees, and can assist you in making choices about your tree care. To guarantee that your trees remain healthy and secure, you need our professional tree trimming services. We pay particular attention to trees which are close to properties and to other risks such as power lines. 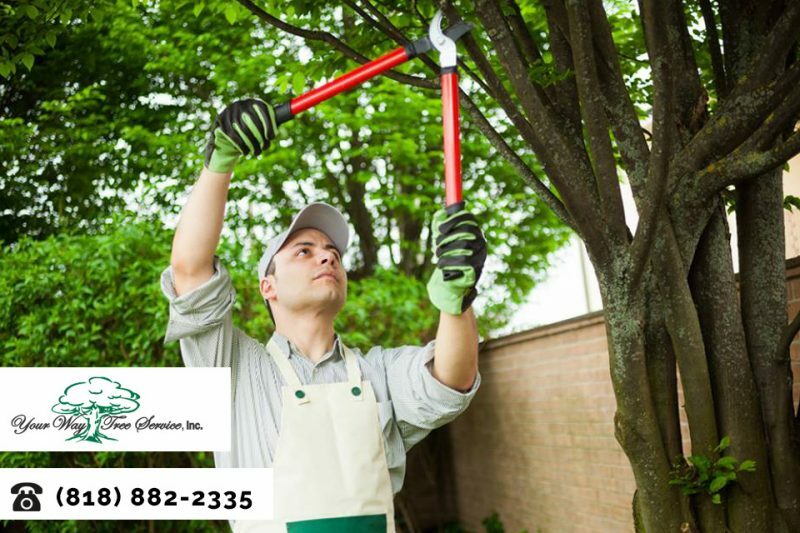 By pointing out these risks to you, we can help you to decide whether you want to trim back these limbs and branches before they cause an issue, or even remove the tree completely. We can get rid of limbs which are near to your property, or that might start to interfere with a neighboring property in the future. Taking these decisions early gives you more options when it comes to trimming the tree. When you want to make sure that your tree looks as good as possible, shaping the canopy serves not only to make the tree more attractive, but also increases the benefits for the tree. For example, where tree canopies become very overgrown, the branches can become intertwined, affecting the branches and even placing the tree itself at risk. Thinning canopies and shaping branches and limbs can give the tree a new lease of life, and we can also offer other services such as raising the canopy, which involves removing lower limbs in order to make the tree look more elegant. Whatever the condition of your trees at the moment, we can help you to give them a better shape. Whether you want them to be trimmed, shaped in order to protect canopies or avoid power lines, or even cut down completely, our professional Tree service for Beverly Hills residents can give you exactly what you want. To select a service, or find out more about us, visit our website or contact us by email at CustomerService@yourwaytreeserviceinc.com, or call us on 818-882-2335 today to speak to a professional tree expert.